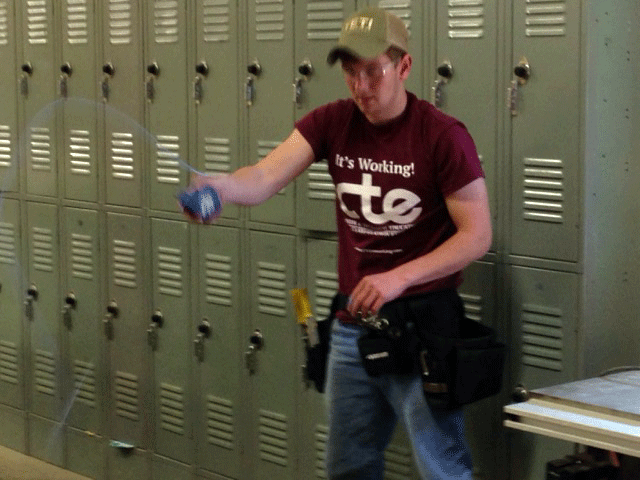 News — CTE: It's Working! 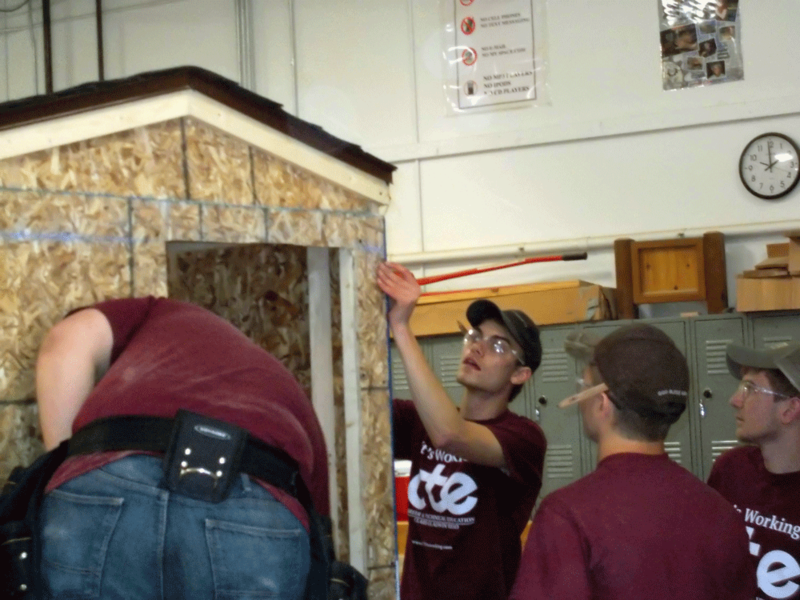 A team of four CTE Construction Trades students took third place in a regional building competition last week. 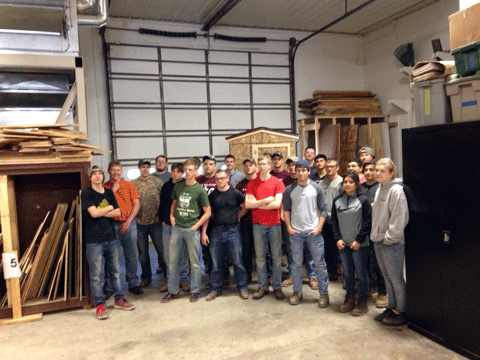 The students finished in third place in the competition. 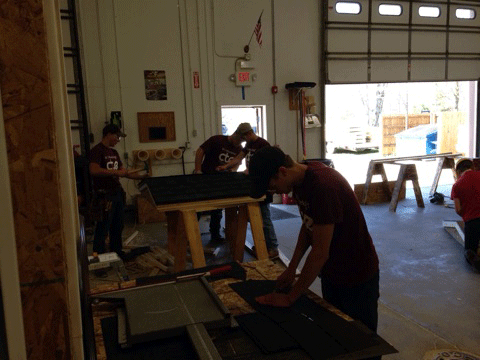 The Construction Trades competition took place last Friday at the West Shore ESD Career Technical Center in Ludington. 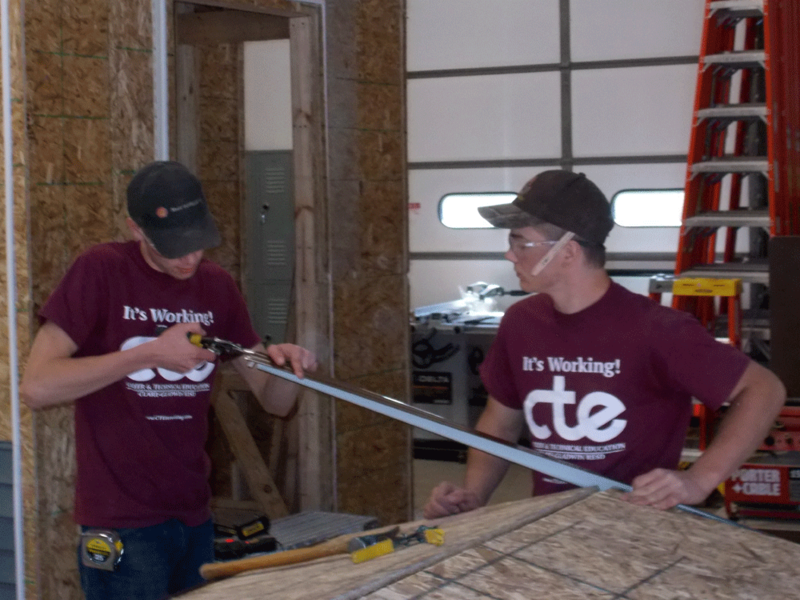 Other CTE programs in the competition included Mecosta-Osceola, Newaygo County, Wexford-Missaukee, Muskegon and Ogemaw Heights High School. 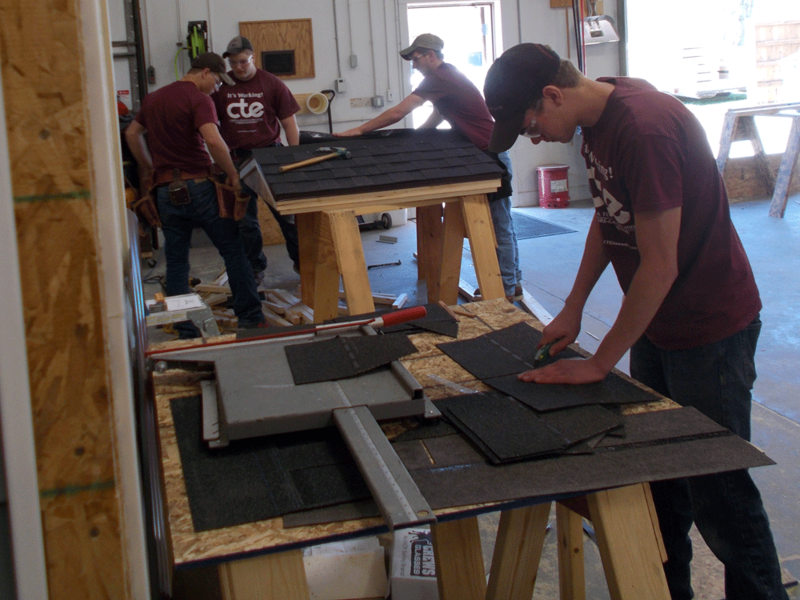 The object of the competition was to build an entire deer blind in 3.5 hours, including framing the floor, wall and roof systems and shingling the roof. The deer blind had to have three windows and a door. 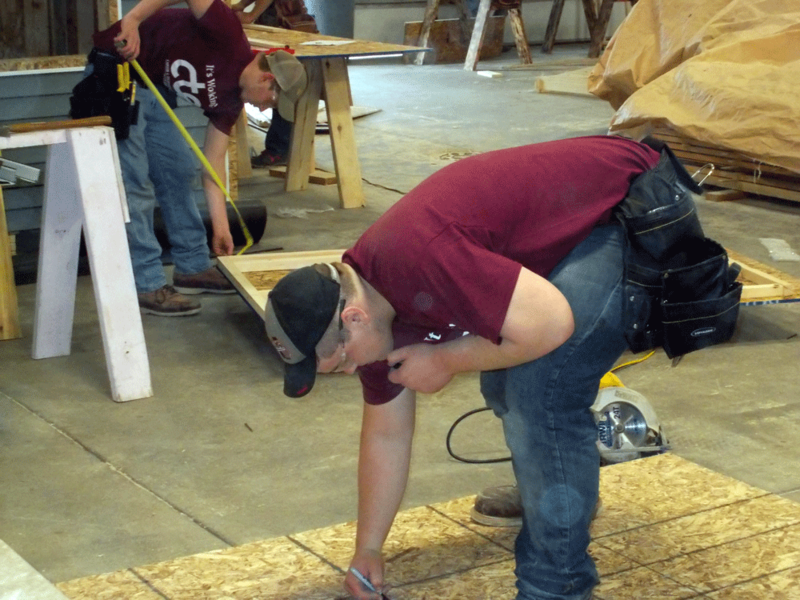 The competition tested the students' construction knowledge, teamwork and problem-solving skills. 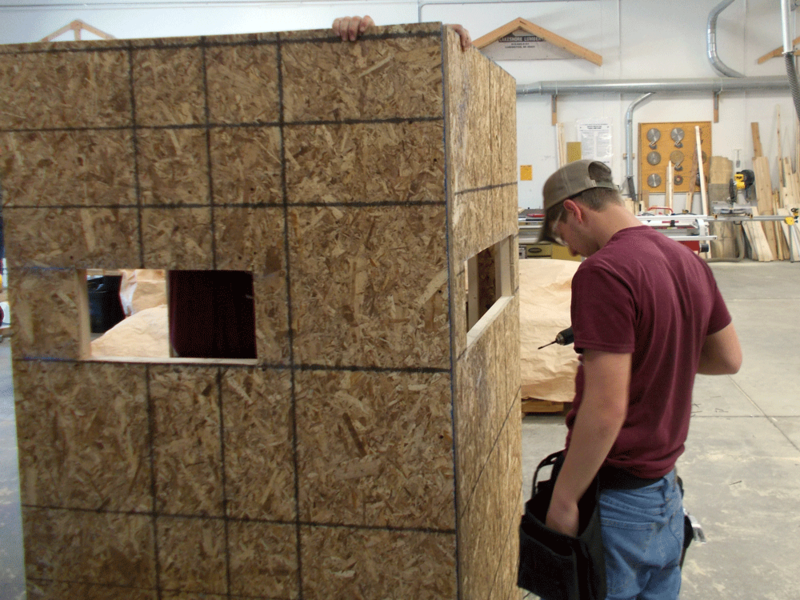 After completion (or when time ran out), the projects were judged by construction industry professionals. 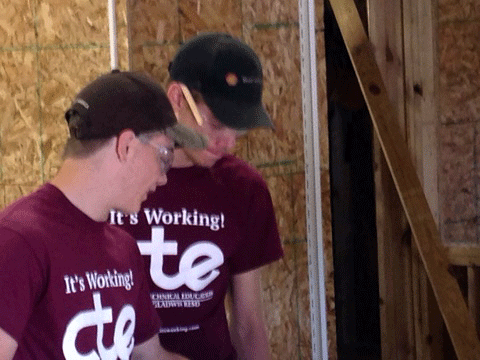 "I was very proud of the team effort," said CTE Construction Trades Instructor Josh Myers. "They demonstrated problem-solving skills and determination, bringing home a third place finish among tough competition. These four young men represented themselves and Clare-Gladwin CTE with pride. 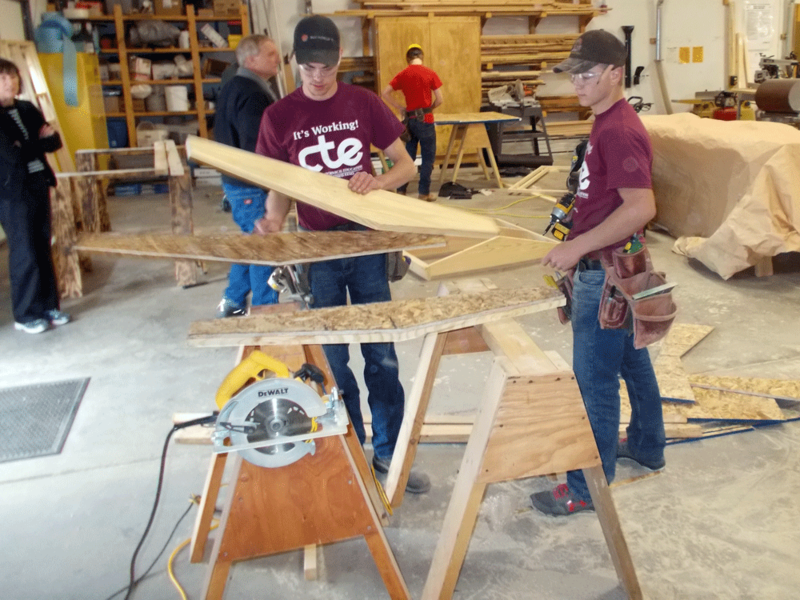 They are great ambassadors for Career and Technical Education." All four team members were from Beaverton High School. They were Senior Wade Sturgeon and Juniors Ethan Goodwin, Jeremy Zdrojewski and Will Lang.